Pleven is located in the very heart of Miziya, in an agricultural region, surrounded by low limestone hills near the Vit river at a distance of 174 km. east of Sofia and 35 km. north of Lovech. 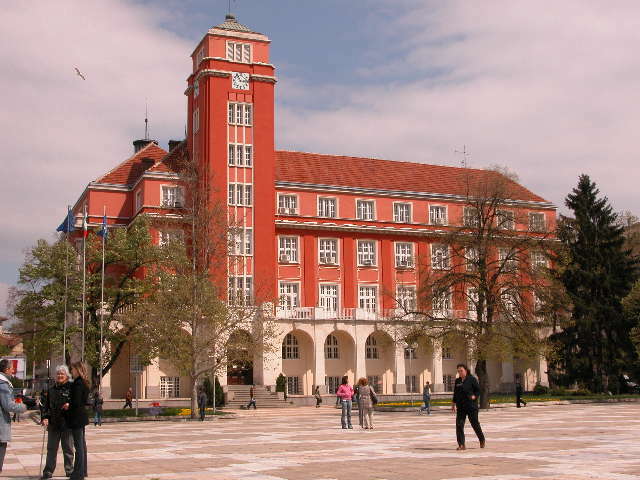 The town is a regional center with about 138 000 inhabitants. 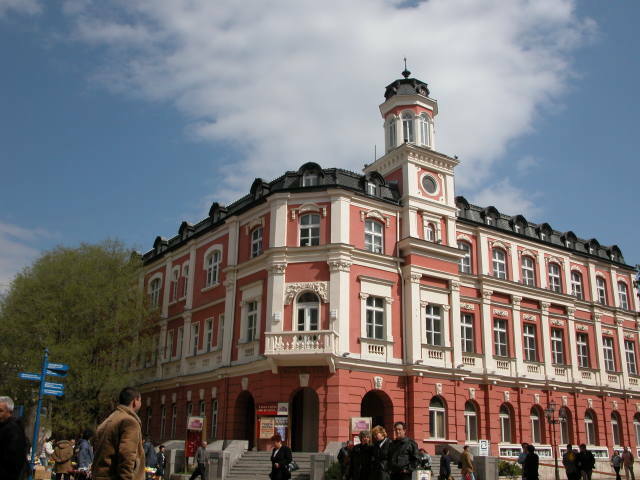 Its central location in Northern Bulgaria defines its importance as a large administrative, economic, political, cultural, and transport center. 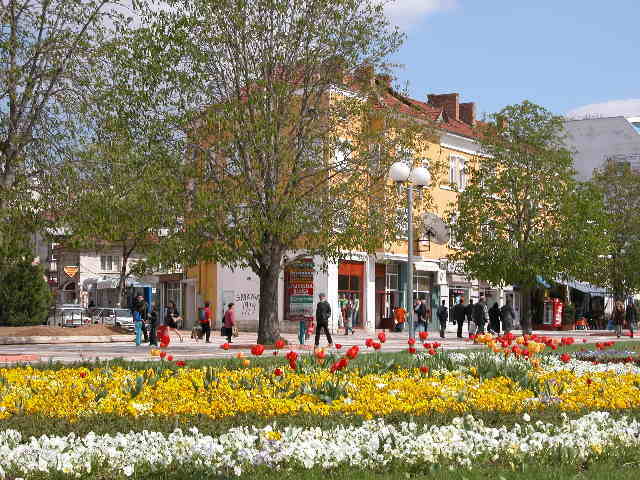 Pleven is distinguished for its rich historical heritage and marvelous nature. There are good opportunities for cultural, eco and spa tourism. 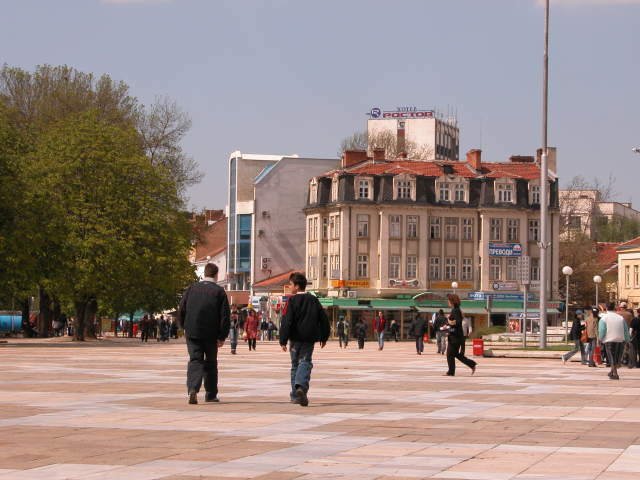 Pleven is the 7 th biggest town in Bulgaria as of the present moment. 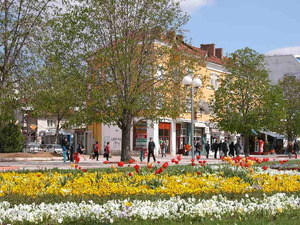 Till nowadays Pleven town has preserved its cultural – historical heritage that make it famous as the town of museums. The earliest traces of life on these lands date back to the end of 5-th millenium BC. Numerous archeological finds show the high level of development of the Thracians who dwelled these areas. One of them is the biggest golden treasure ever discovered on the Bulgarian lands – the Valchi Tran golden treasure, consisting of 13 vessels with total weight of 12.5 kg. During the Medieval Ages the settlement was a strong fortress with well developed crafts, trade and monetary exchange. After the 12-th century the town was ruined and set on fire several times, but after the Liberation the Bulgarian population in the town grew in number and started developing its cattle and sheep market. Evidence for the thousand-year old history of the regional center Pleven are the numerous cultural and architectural monuments in the town. A sight of great interest are the Regional history museum, where valuable finds from the Roman town of Ulpia eskus near the village of Gigen, from the late-antique and early Byzantine fortress Storgozia near the town of Pleven, and from the medieval Bulgarian fortress in Nikopol. The Pleven panorama illustrates the five-month battles during the Russian-Turkish war 1877-78. Indisputable indicator for the traditions and achievements of generations of museum employees is the Regional history museum. 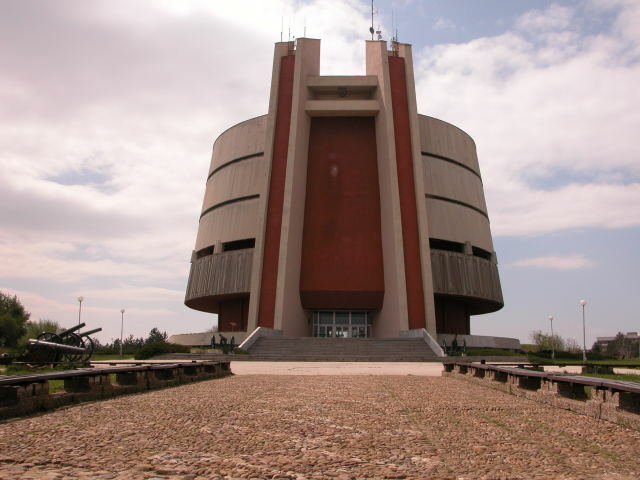 It is arranged in a unique building, constructed for military barracks in 1888. The items in the museum include over 250 thousands exhibits of ancient time, medieval and most modern history of Pleven and region. The collections and the exhibits of the museum are authentic treasure-house for cultural and historical valuables. The exposition is arranged in 24 halls divided in five sections - Archeology, Ottoman yoke and Bulgarian Revival, Ethnography, New and Contemporary history, and Nature, present the history, culture, flora and fauna of Pleven and adjoining district since hoary antiquity. The numismatic collection, comprising over 25000 coins, is one of the most important collections of the museum. The Regional Historical Museum of Pleven has four halls for temporary exhibitions with a total area of 450 square meters. Every years the museum presents various thematic exhibitions, taken out of its rich stock in possession of more that 180 000 museum valuables. After excavations in the village of Gigen the archeologists discovered not only an early-fortress wall of an ancient town, dating from II century AC, but also a lot of findings and information for the lifestyle of the population, that inhabited that region. One of the most remarkable things discovered in the town of Ulpiya Eskus is the mosaic “Aheitsi”. In the Regional history museum monuments, findings from the Roman town Ulpiya Eskus and the early Byzantine fortress of Storgozia are exposed: architecture details, colored floor mosaics, sculptures of Greek – Roman pantheon divinities, golden ornaments. On the way from Eskus to Philipopolis the Roman road station “Storgoziya” was built and later it bacame a fortress with the same name. The archeological investigations speak for large scale construction of administrative, military and religious buildings. One of the most valuable archeological monuments is the early Christian basilica of IV century, the second largest in Bulgaria after the Tsars basilica in Pliska. The basilica is well preserved and has a historical significance with its incredible wicket, preserved bases, capitals and columns from the atrium (backyard). Pleven became widely known for the five-month battles during the Russian-Turkish war 1877-78 as a result of which Bulgaria was liberated from the 500-year Ottoman yoke. The park of “Skobelev” is located on the very battle field where the army of General Skobelev defeated the Turkish troops on 10th December 1877 and since then it was called “The death valley”. The bone-vault, House-museum “Stoyan and Vladimir Zaimovi”, authentic cannons, many mounds and monuments are located in the park. The Pleven Epopee 1877 Panorama depicts these events combining painting, plastics, and architecture in a magnificient way. Created in honour of the 100-th anniversary of the Pleven Epopee analogically to the Borodin Panorama in Moscow. A team of thirteen Russian and Bulgarian artists created a feeling of authenticity and empathy for the battle fought on 11 September 1877. Nowadays there are 33 panoramas all over the world, the biggest of them being the one in Pleven. The drama theater house “Ivan Radoev” is founded in 1919. The building of the theatre is an architectural monument of national significance. The interior represents the traditions of European city style at the end of XIX century. The institution exerts influence on the theatrical life of the country. 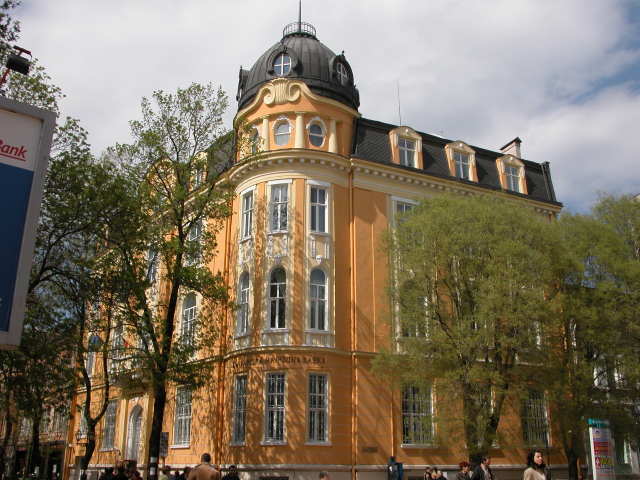 The Art gallery “Iliya Beshkov” is founded in 1958 as a branch of the Museum of history. Now it is an independent institution with a rich collection of works – paintings, black and white drawings and sculptures. Works of Vladimir Dimitrov – “The Master”, Dechko Uzunov, Nikolay Pavlovich, Georgi Danchov, Iliya Beshkov, Svetlin Rusev, etc. are kept in the gallery. The gallery exhibits paintings of world famous artists as Rembrandt, Domie, Kathy Kolwitz etc. Pleven philharmonic orchestra with open opera stage exists for more than 50 years and for this remarkable period has become one of the leading orchestras in Bulgaria. Each year the Philharmonic orchestra performs a lot of concerts in Bulgaria and other European countries and it plays a significant part in the competition for young opera singers. The name of Pleven philharmonic orchestra is related to remarkable Bulgarian and foreign conductors and soloists. The outstanding exhibition-donation “Svetlin Rusev” was opened in 1984 in an exclusively unique building. One of the most famous artists in Bulgaria – Svetlin Rusev donated to his native town a rich collection of 400 pictures and sculptures from Bulgarian and world famous artists. The standing exhibition offers more than 250 valuable pieces of art. The cultural life in town has its indisputable priorities – the international music festival “Katya Popova”, National competition for Bulgarian drama “Ivan Radoev”, National biennale in photography “Fodar”, National festival for video films and video production “Artvision”, etc. The chapel-mausoleum “St. George the Victorious” was built in 1907. The bones of Bulgarian, Russian, Romanian, Finnish, Ukrainian, Belarus, Moldavian soldiers who laid down their lives for Pleven are kept in a crypt. Iconostasis and icons have been made by famous Bulgarian masters. The unique assembly of nature, archeology and originality of natural reserve in “Chernelka” countryside is one of the preferred places to visit by admirers of nature. The reserve is located around 12 km from Pleven. Stretching along to 7 km, the small river shapes a picturesque Karst canyon with 60 to 200 m width and height of the rock ring 10 to 30 mm. The presence of exclusively specific vegetation and rich fauna explains the reason to declare the area for natural landmark in 1969. There had been discovered valuable archeological finds in the Valley of Chernelka River: images of human, animal and geometrical shapes form bronze epoch, pre-historical drawings, traces of construction dated to IX – XIV century. The visitors are impressed by the pre-historical settlement at the natural rock column “Mechoka”, the late ancient and medieval fortress “Gradishte”, “Tzarevata peshtera”, Roman road, preserved and being used at some sectors till nowadays. The hut “Kapchuka” is a convenient place to rest in the beautiful area. It has 22 beds, dining hall and kitchen,. The forthcoming reconstruction of the building is to make it an attractive tourist place. The Vodopada cave is situated above 800 m south from the village. It is one of the most beautiful caves in Bulgaria. It is a water labyrinth, extremely difficult for orientation. The galleries are originally covered by specifically white formations, which come into indescribable sight at the arch brown background. Groveling through the dark underground galleries and labyrinths the springing water goes out the cave and turns into the beautiful Krushuna waterfall with many rapids, water reservoirs and green vegetation. There is no cave for now in Krushuna. The area called Maarata is so beautiful at the waterfall that it is time this country area to be urbanized and prepared for tourist sightseeing there. As only one cave is provided with utilities The Krushuna cave has the possibilities to be the second one. The natural reserves of Krushuna and Steneto in Pleven region offer great opportunities for eco and spa tourism. They enchant with their incredible natural beauty and phenomena such as magnificent caves, marvelous waterfalls, curative mineral springs and etc. The village of Krushuna is situated 9 km. south of Letnitza. The village is is surrounded by the heights of Stara Planina and only north there is an expanse to the law land of the river Osum. The Krushuna terrain and the near southern surroundings are composed of limestone rocks and karst formations. A big part of the land is occupied of formations of past existing quarries. The village snuggles into the foot of mountains, river meanders and woods south of it make its climate wonderful, the freshness of the woods in summer and the protection against the cold winds in winter. On these attributes there are images of animals: a lion, a dog, a deer, etc. There are images of horsemen, which are very typical for the Thracian art. On the two of the attributes there is portrayed a lion which attack a deer. On the third attribute two horsemen pursue lions, which already reached fell down in the hoofs of the horses. All these scenes of the Thracian art have a particular social meaning and they are connected with the exalt of the king power. The rulers spread the legends about their unusual divine origin and made the ordinary subjects to believe in this and to submit them. The Karlukovo karst region is one of the biggest in Bulgaria. For many people it is a speleology school. No one can say how the caves in this region really are. But some of the bigger holes are marked out. Some people think that the caves in this region are more than 300. The most famous are – Bankovitsa, Svirchovitsa, Biserna, Temnata dupka, Dalbokata. Here can be seen also the remains of two rock churches – “St. Posrebrenitsi” and “St. Marina”, and one rock monastery – “St. Gligor”. Òhe frescoes of the monastery are unique and can be seen in the National history museum. Nobody can say how much are the secrets of the region in fact. There are a lot of stories and legends. The caves provoke people’s curiosity to peep in the other world – the underworld, to find something different, to cross the line between the two worlds. Often the local people tell stories about bottomless precipices and keep the magic alive. In the winter here can be seen very interesting forms from frozen water. The village of Grivnitsa is situated at a distance of 6 km east of the town. During the war of Liberation the population of the village and region take active participation. A mausoleum in memory of the killed Romenian soldiers. It is located amongst a spacious park with a lot of monuments. One can go there from the town by train or bus. The town of Pordim is situated at the distance of 21 km. to the east of Pleven. The General Headquarters of the Russian army and of Emperor Alexander the 2 th was located here during the war of Liberation. There is another museum – “Rumanian soldier 1877 – 1878”. A regular bus may reach it, too. A green zone was built up around Pleven about 25 thousand decares, involving the parks of: “Kailuka”, “General Lavrov”, “General Genetski” and others. The village of Vulchi Tran is situated at the distance of 22 km. south – east of Pleven, in which the Valchitran gold treasure was found in 1924. In the town of Dolni Dupnik at the distance of 15 km. to the west of Pleven with a lot of monuments from Pleven Epopee. It is the greatest oil field deposit in Bulgaria, natural gas is yielded here too. There are three lakes in its surroundings. They are a favorite place for recreation, water motor sports, water tourism and fishing. The place “Maarata“ stands at the south part of the village – a very charming spot, picturesque foot of the front mountain of Balkan, the high rocks mage a large shoe of the Devetashko plateau. The place is situated in the east part of Devetashko plateau – one of the biggest karst area of the middle Balkan. From the 30 caves in Bulgaria (more than 1000 m length ) in the Devetashko plateau are situated 5 and 4 of them are in the country land of Krushuna :“ Boninska” cave - 2753 m; “Vodopada” – 1995 m; “Urushka maara” - 1600 m; “Gornik” - 1080 m. At less of 1,5% karst surface are situated about 20% of the longest caves of Bulgaria. Besides low lying karst well developed is the surface karst. It is represented by the enormous surfaces karst fields and more than 800 negative karst formations. This fact defines the big interest to this region. In 1976-1977 in the south eastern part of the village was discovered mineral water with characteristics: flow 16,5 l/sec and temperature 58 C, mineralization 11,5%. The mineral water composition is: flourine – 4 mg, chlorine – 5039.7, bromine – 16.2, iodine – 2.7, sulphates – 2053.4, hydrocarbonate – 189.1, hydrophosphates – traces, ammonium – 14.4, sodium – 3028.3, potassium – 75, magnesium – 228.8, metasilicon acid – 37.4, metaboron acid – 9.6, calcium – 705.8. The National Museum of History (NMH) marks the 140th anniversary of the adoption of the Turnovo Constitution (1879), showing a number of objects for its permanent exposure, which were for the first time or rarely displayed. This was reported by the press center of the museum.